Want to travel the world, working and living in interesting places? 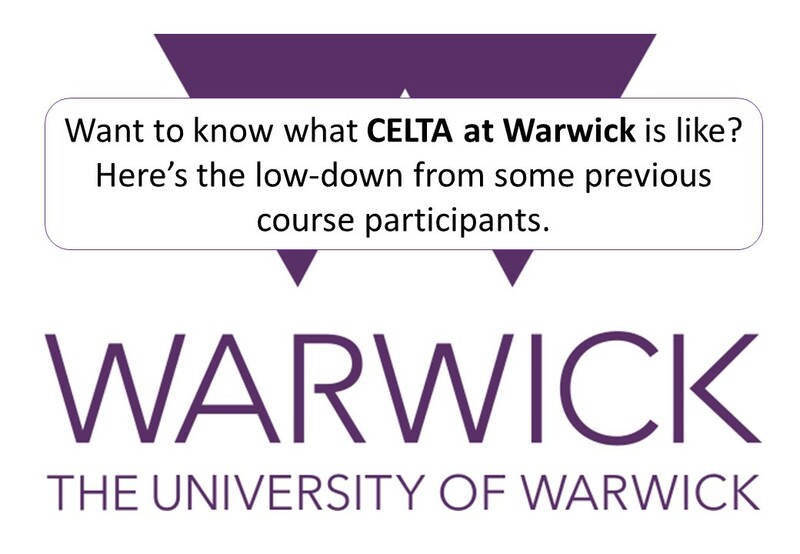 Learn to teach English on a CELTA course at Warwick Applied Linguistics and make that dream come true! Taster days -Try it out! Employers around the world ask for CELTA (Certificate in English Language Teaching to Speakers of Other Languages). It’s the practical English language teaching qualification that gives you the essential knowledge, hands-on teaching experience and classroom confidence to work as a teacher of English as a Foreign Language. Take a four-week (10 weeks part-time) course leading to a globally recognised and respected English teaching qualification that will really take you places. It changed my job prospects overnight and changed the way employers viewed me. It’s amazing how valuable five letters can be. Not sure if this is for you? Come and try! Your questions about CELTA and working overseas answered.